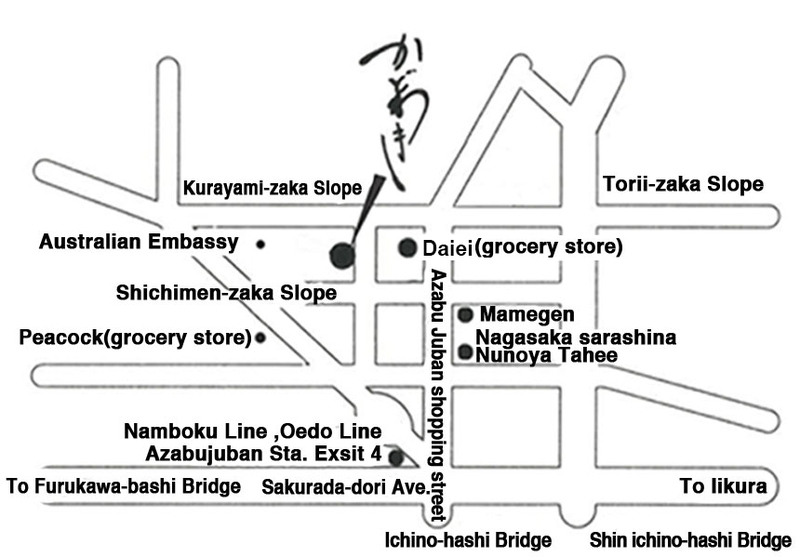 We are located in the Azabu-juban area of Tokyo. 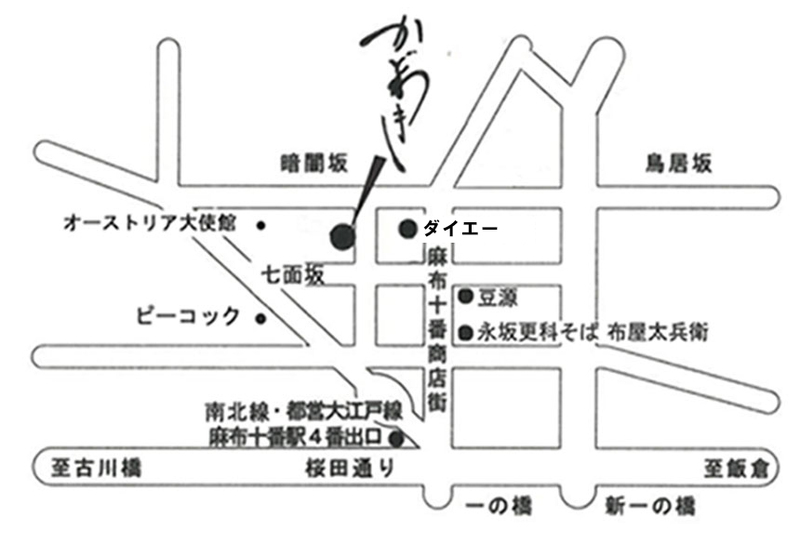 ※Please reserve from the hotel concierge or pocket concierge. Customers with reservations after 19:30 are warned that they may be asked to wait for a little while before being seated. No outside food and drinks allowed in our policy. Children over 13-year-old is possible to dine here.Need to choose 1 course as an adult. Please tell us at the time of reservation if you have allergies to any ingredients. We provide only one chef's full course dinner in season. We appreciate your understanding that the dishes may be different despite being the same price, because we consider the allergens and provide agreeable cuisine for each customers. Cancellation on the day before (Japan time): 50% of the total pre-ordered food price. Cancellation on the same day (Japan time): 100% of the total pre-ordered food price We kindly advise guests residing outside of Japan that only reservations made through the hotel concierge will be accepted. As we need to procure ingredients that are suitable for each guest, we will be calling you at least one day in advance of your booking date to confirm your reservation details. Please be advised that if we cannot get in touch with you, your reservation may be cancelled.